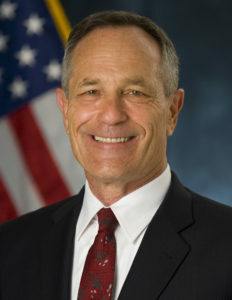 Alan Bersin recently served as Assistant Secretary in the Office of Policy at the U.S. Department of Homeland Security (DHS). Mr. Bersin was responsible for overseeing the Department’s policy formulation function in the areas of border security and trade, cyber, critical infrastructure and resilience, threat prevention and security policy and strategy, and plans and risk assessments. As Chief Diplomatic Officer for DHS, Mr. Bersin led the Department’s international engagement and served as the principal advisor to the Secretary on all international affairs and functions; oversaw the strategic development and execution of the Department’s international policies and plans; facilitated DHS multilateral, regional, and bilateral relations with foreign governments, law enforcement agencies, and international organizations to ensure an integrated transnational affairs program for the Department; served as the lead Departmental representative in interagency policy deliberations affecting foreign relations; and served as the Departmental interlocutor with the Department of State and the foreign affairs community, including foreign governments and international organizations. Mr. Bersin served in 2010-2011 as Commissioner of U.S. Customs and Border Protection (CBP), a position in which he oversaw the operations of CBP’s 58,000 employee workforce and guided its efforts to secure the nation’s borders while expediting lawful trade and travel. Between 2012 and 2015, Mr. Bersin served as Vice President of INTERPOL for the Americas Region and as a lead Member of the INTERPOL Executive Committee. He was Chair of the Advisory Committee for the International Policing Division Steering Committee of the International Association of Chiefs of Police (IACP). In 2009, Mr. Bersin was Assistant Secretary and Special Representative for Border Affairs in the Department of Homeland Security. Mr. Bersin served as U.S. Attorney for the Southern District of California and for nearly five years as the Attorney General’s Southwest Border Representative responsible for coordinating federal border law enforcement from South Texas to Southern California.